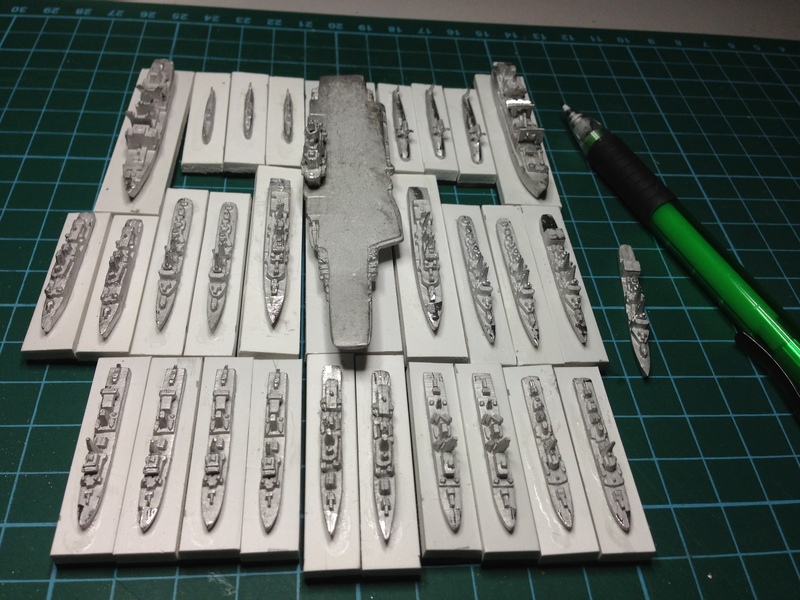 I posted a while back about the Indian Navy – Part 1 I was building in 1/3000th scale for use with the Shipwreck! modern naval wargame rules. Their erstwhile opponents, at this stage, will be the People’s Liberation Army Navy of the People’s Republic of China (PLAN). Whilst at the moment these two powers seem to be on reasonably peaceful terms, there is still a number of border questions to be resolved, not to mention the Kashmir. 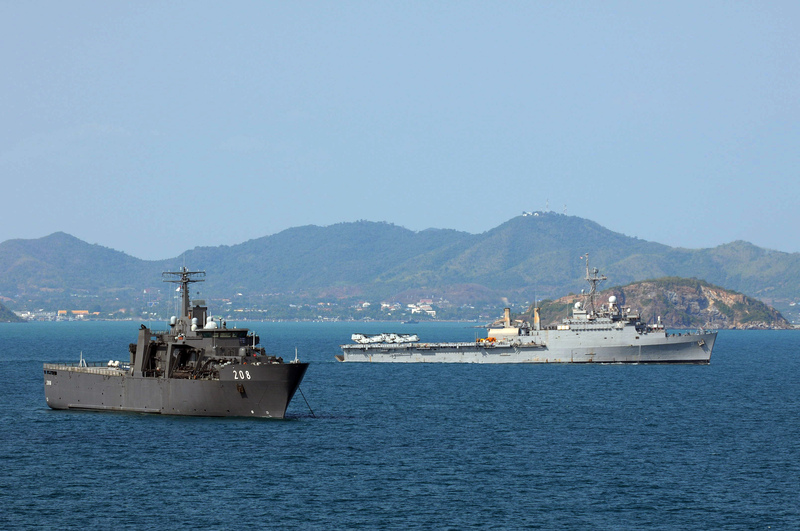 The two nations have traded blows before so a scenario where a PLAN blue water fleet starts causing economic havoc to India in the Andaman Sea is not such a far fetched scenario. The PLAN is therefore my second modern fleet from Navwar and I decided to get started on getting it ready for painting. I have started painting the Indians – more on that in a later post – but before finishing them I wanted to get the next batch ready. This was partly bought about by recent events after a trip to Jakarta where everything I tried to do was interrupted with me having to go to the smallest room in the apartment … frequently! As with the Indians, the first step was out to the Internet and find out some details on the vessels that I had purchased. I had purchased a fleet pack from Navwar which comes with an assortment of vessels, some of which are no longer commissioned and iin one case, a packet of two vessels where only one vessel was built (the Jinan). 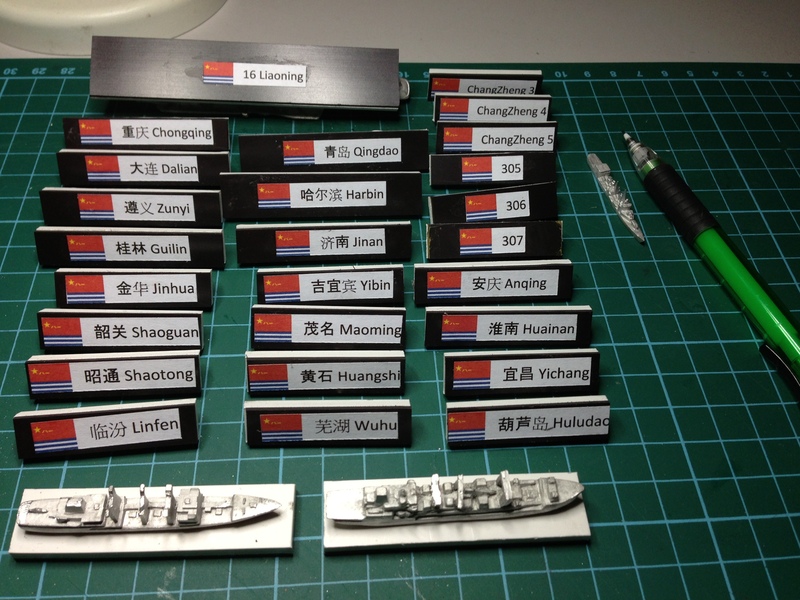 My PLAN Fleet ready for painting – the Chinese carrier is big compared to the Indian carrier … but small compared to a USN carrier. While looking for information and pictures of the vessels I discovered a couple of things about PLAN vessels. One is that due to the sometimes unstable political environment of China in the past, some vessels had been named, then had the name replaced by a hull number, the renamed again with a name different to the first name. Now I think the PLAN stick with safer things such as names of provinces etc. I also discovered that the Chinese vessels appear not to have crests. I therefore have just used the PLAN ensign on the labels. The labelling can be seen above. The next step will be the painting process. For that, like the Indians, I will be undercoating the vessels in white, washing in black ink, painting the sea base then starting to paint with a heavy dry-brush in a mid to light grey. Exactly what shade of grey to use is academic. Whilst I could, for example, try to get a paint chip and match to that colour, the appearance of the vessel changes depending on the ambient lighting. So a vessel with full on midday sunshine reflecting off its surfaces can appear almost pure white rather than the light grey we know the PLAN vessels to be painted in. A good example of colour variation can be seen in the two pictures at the bottom of this post. The spare ship can be seen at the right of the picture above. 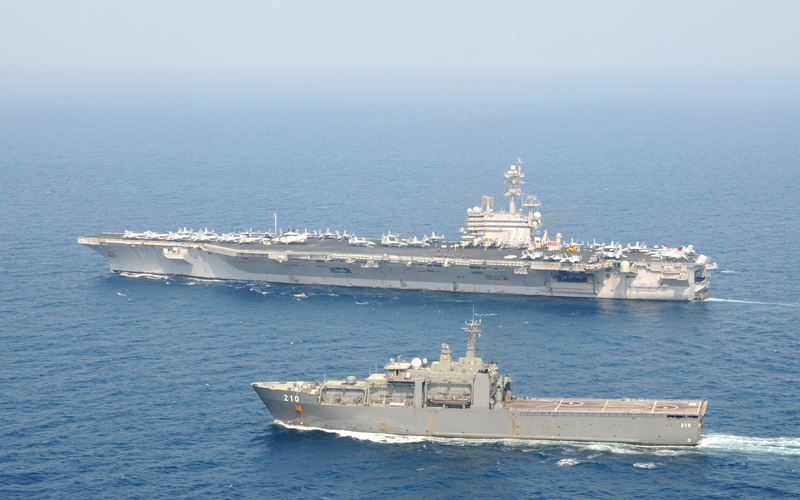 The two images below are taken 6 months apart in different parts of the world – note that the USS George H W Bush looks almost white in this image whilst the USS Denver is obviously a light grey. In the case of the Singapore Navy vessels there is clearly a bigger shade difference. It may well be that the one in the left hand photograph is a darer grey but it is not easy to tell from photographs. 244,089 hits. Note that I had 258,644 hits on the Hole before moving here.